New Delhi, April 19 (IANS) The Directorate General of Anti-Profiteering (DGAP) has served a notice on technology major Samsung India for allegedly not passing on the benefits of GST reduction to its customers and in turn making undue profits, sources said. New Delhi, April 19 (IANS) Lenders will cite one day default clause under Insolvency and Bankruptcy Code (IBC) to defend their action against erring promoters taken to insolvency under the now defunct February 12, 2018 circular of the Reserve Bank of India (RBI). Mumbai, April 19 (IANS) The biggest nightmare for candidates in the Mumbai, Thane, Palghar and Raigad Lok Sabha constituencies is how to "catch" the slippery commuters who are their main electoral bank. San Francisco, April 19 (IANS) Microsoft has acquired San Diego-based software company Express Logic, that makes software for Internet of Things (IoT) devices, to accelerate IoT development for billions of devices at scale. New Delhi, April 19 (IANS) The grounded Jet Airways has issued a gag order to its employees advising them to refrain from speaking with external stakeholders. New York, April 19 (IANS) The US dollar increased in late trading on Thursday, as the US economy got a boost by estimated surging retail sales, while the euro dropped due to downbeat eurozone economic data. New Delhi, April 18 (IANS) A day after Jet Airways temporarily suspended all flights, the government on Thursday asked domestic airlines to advance their aircraft induction plans for capacity augmentation and to keep air fares in check. 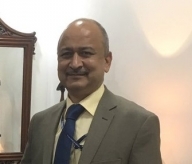 New Delhi, April 18 (IANS) A day after Jet Airways temporarily suspended operations, the government has strictly advised domestic airlines not to indulge in predatory pricing and keep air fares affordable, a senior official said here on Thursday. New Delhi, April 18 (IANS) A day after Jet Airways suspended all flights, the government on Thursday asked domestic airlines to advance their aircraft induction plans for capacity augmentation and to keep air fares in check. 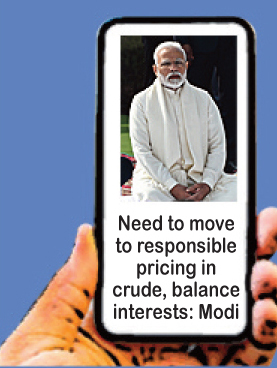 New Delhi, April 18 (IANS) Reliance Jio and state-run BSNL were the only telecom operators to broaden their subscriber base in February 2019, according to data released by the Telecom Regulatory Authority of India (TRAI) on Thursday. 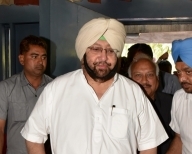 Chandigarh, April 18 (IANS) Following damage to crops resulting from unseasonal rain and winds, Punjab Chief Minister Amarinder Singh on Thursday called for an urgent meeting of the Disaster Management Committee to assess the extent of the losses. New Delhi, April 18 (IANS) A day after Jet Airways suspended all flights, the government on Thursday asked domestic airlines to advance their aircraft induction plans for capacity augmentation and to keep airfares in check. 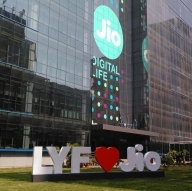 Mumbai, April 18 (IANS) Reliance Jio Infocomm, a Reliance Group company, on Thursday reported a 64.7 per cent increase in its standalone net profit for the January-March quarter of the financial year 2018-19, on an year-on-year basis. Kolkata, April 18 (IANS) Tata Sponge Iron, a 54.5 per cent subsidiary company of Tata Steel, on Thursday said its board has approved shifting of the company's registered office from Odisha to West Bengal and changing its name to 'Tata Steel Long Products Limited' or such other name. New Delhi, April 18 (IANS) The Directorate General of Anti-Profiteering (DGAP) has served a notice on technology major Samsung India for allegedly not passing on the benefits of GST reduction to its customers and in turn making undue profits, sources said. New Delhi, April 18 (IANS) Air India will offer "special" fares to Jet Airways passengers stranded at international stations, informed sources told IANS on Thursday. New Delhi, April 18 (IANS) Reliance Industries Ltd (RIL) on Thursday reported 9.8 per cent increase in its consolidated net profit for the January-March quarter of financial year 2018-19, on an year-on-year (YoY) basis. New Delhi, April 18 (IANS) The Chandigarh Consumer Commission recently ordered Bata India Ltd to pay Rs 9,000 in fine for charging Rs 3 from a customer for a paper bag to carry the shoebox. New Delhi, April 18 (IANS) A day after Jet Airways grounded its operations completely, reality is fast dawning upon over 20,000 Jet Airways employees. New Delhi, April 18 (IANS) The Directorate General of Anti-Profiteering has served a notice to technology major Samsung India for allegedly not passing on the benefits of GST reduction to its customers and in turn making undue profits, sources said. Islamabad, April 18 (IANS) Pakistan Finance Minister Asad Umar was removed on Thursday amid a wave of criticism over the government's handling of the financial crisis the country is facing. New Delhi, April 18 (IANS) The next government at the centre is likely to inherit a rural economy in bad shape as the "informal" sector in many parts of agrarian India is yet to recover from the multiple disruptions over the past several months, a report said on Thursday. New Delhi, April 18 (IANS) Honda Cars India (HCIL) has voluntarily recalled 3,669 units of its premium brand Honda Accord to replace faulty driver side front airbag inflators. Mumbai, April 18 (IANS) Global payments major Mastercard on Thursday said it is committed to empowering 10 million merchants across India with digital payments acceptance capabilities by 2020.